Here’s a look at some of our favorite examples of “Man-cave-iana” from our upcoming auction. 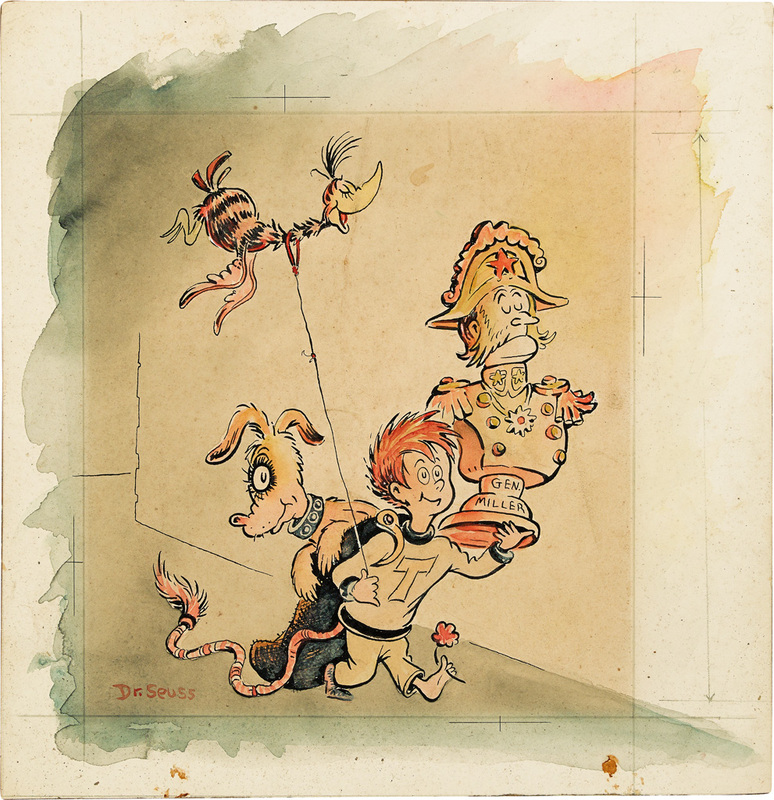 Lot 159 : George Petty, Army vs Navy, watercolor and gouache on board, advertisement and calendar image for Old Gold Cigarettes. 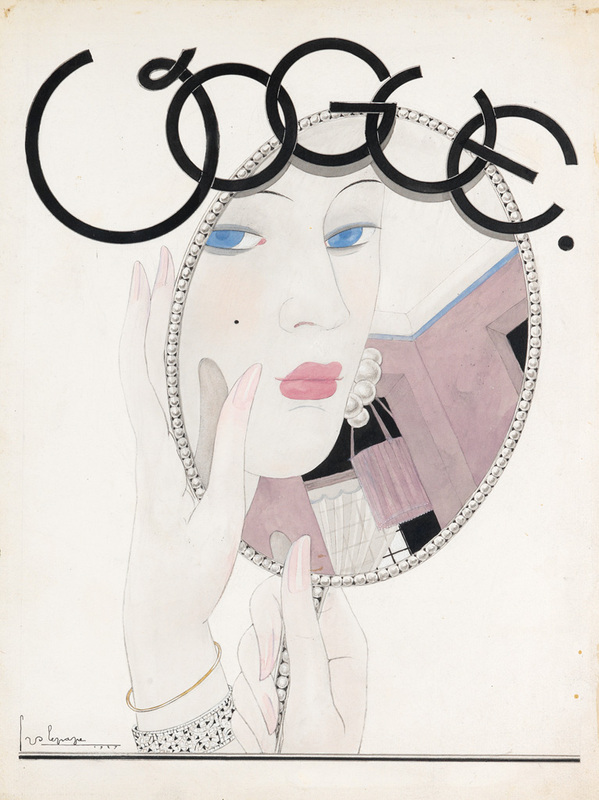 Lot 20 : Elmer Simms Campbell, I used to know her – four checkbooks ago, watercolor, gouache and pencil on board, 1936. Estimate $1,200 to $1,800. 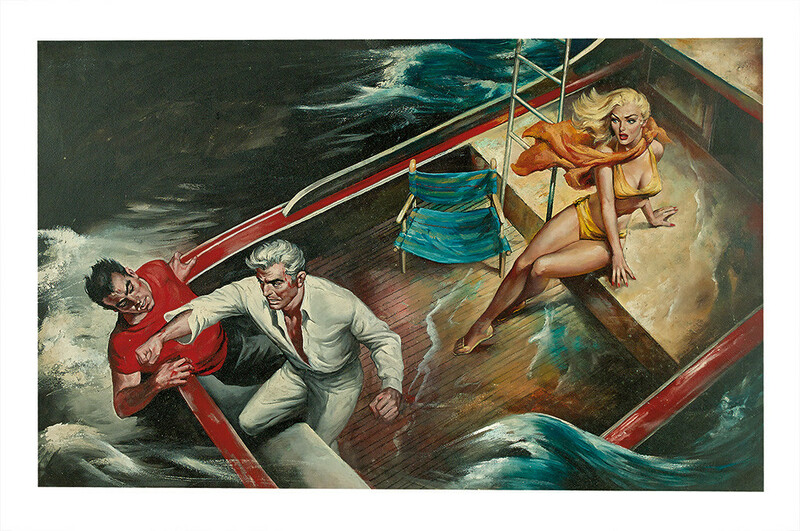 Lot 27: Charles Copeland, The Big Wet Kill, acrylic on board, published September 1958 in Swank Magazine. Estimate $800 to $1,200. 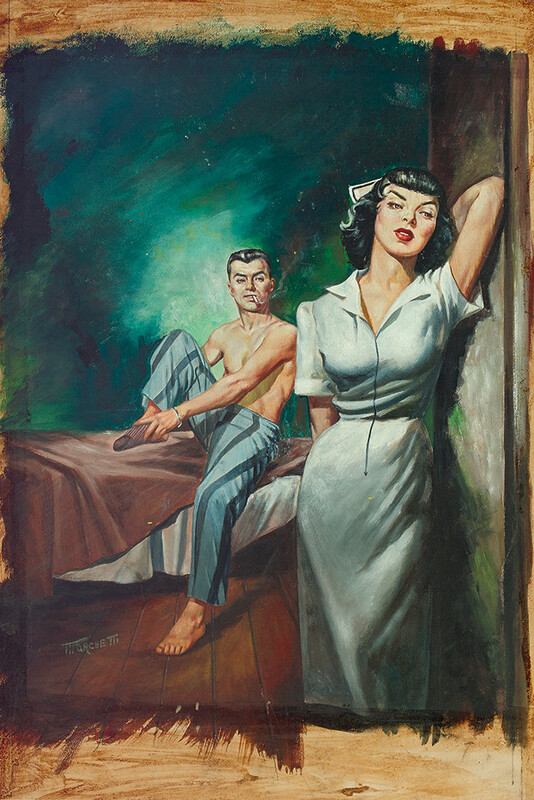 Lot 95 : Lou Marchetti, Intimate Affairs of a French Nurse, gouache on board, cover for pulp novel of the same name by Florence Stonebraker, New York, 1953. Estimate $600 to $900. 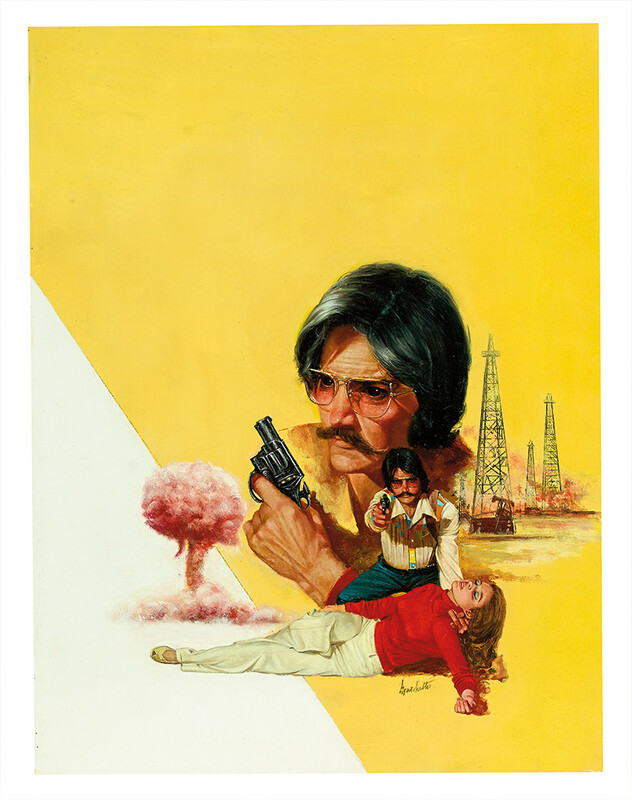 Lot 97 : Lou Marchetti, The Smuggler #4 – Mother Luck, acrylic on board, cover art for book of the same name by Paul Petersen, 1974. Estimate $600 to $900. 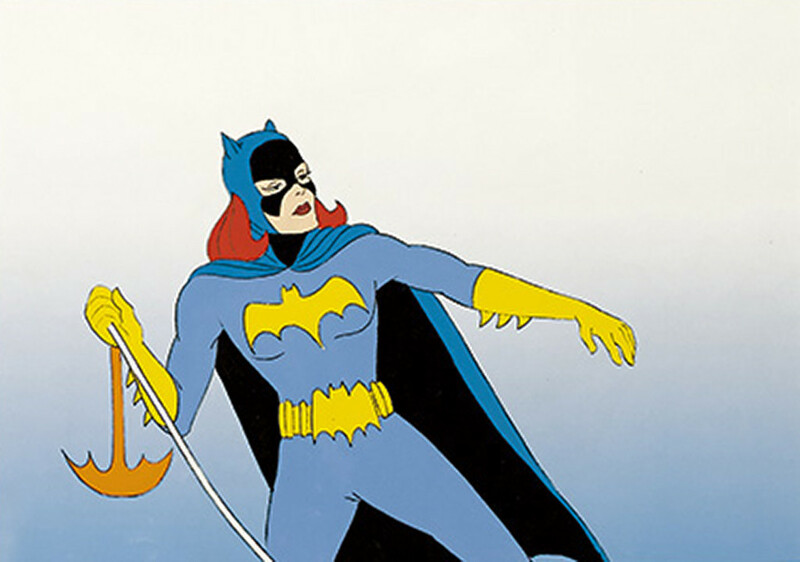 Lot 177: DC Comics, Bat Girl, pencil and blue crayon drawing and finished animation cel with background. Estimate $400 to $600. 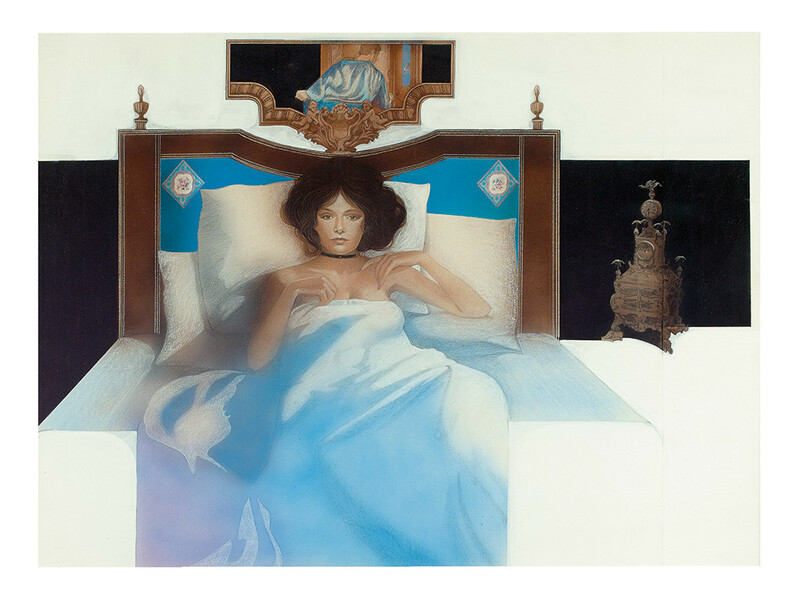 Lot 69: Richard Harvey, Tatiana, chalk and airbrush on paper, illustration for Ian Fleming’s From Russia with Love published by The Reader’s Digest in the 1980s. Estimate $250 to $350. 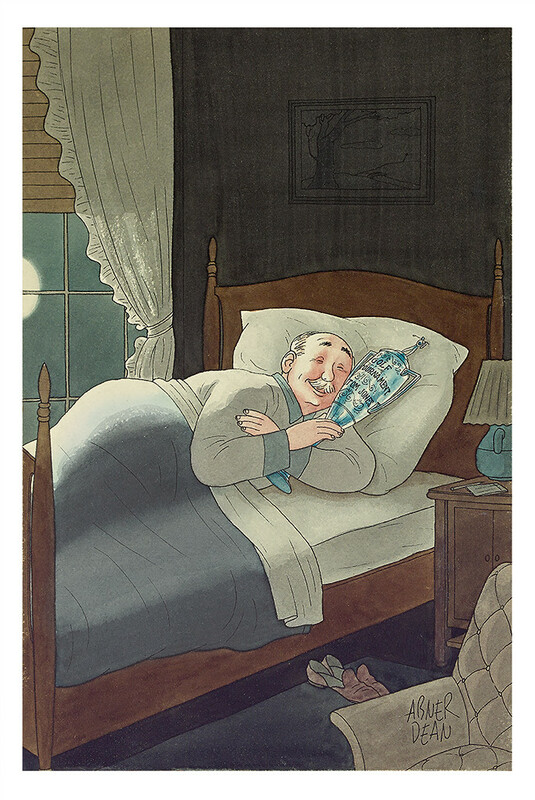 Lot 232: Abner Dean, Contented Man Sleeping with His Golf Trophy, ink and was on paper, possibly an unused cover design for The New Yorker, circa 1950s. Estimate $600 to $900. 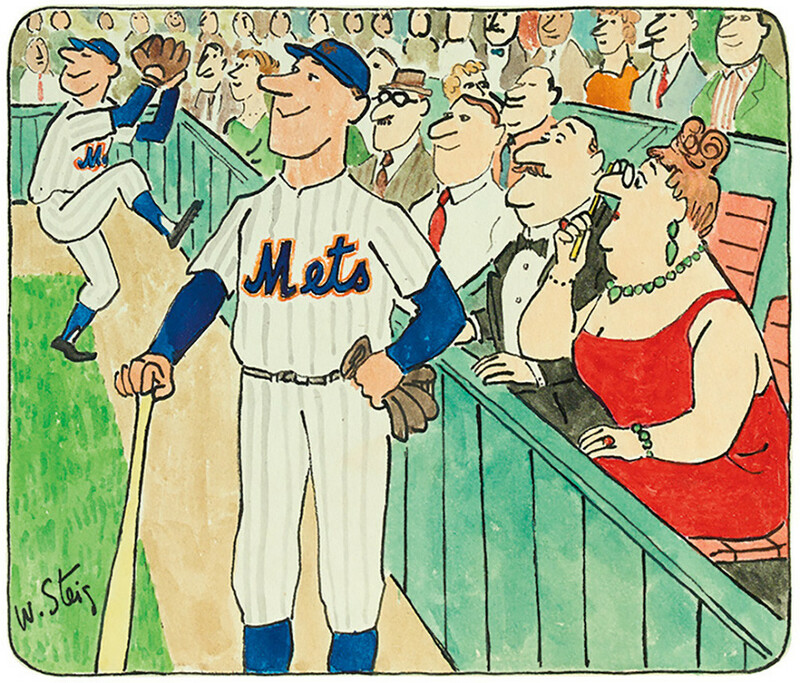 Lot 200: William Steig, The New York Mets (with Opera-goers), ink and wash on paper, circa 1969-1973. Estimate $700 to $1,000. 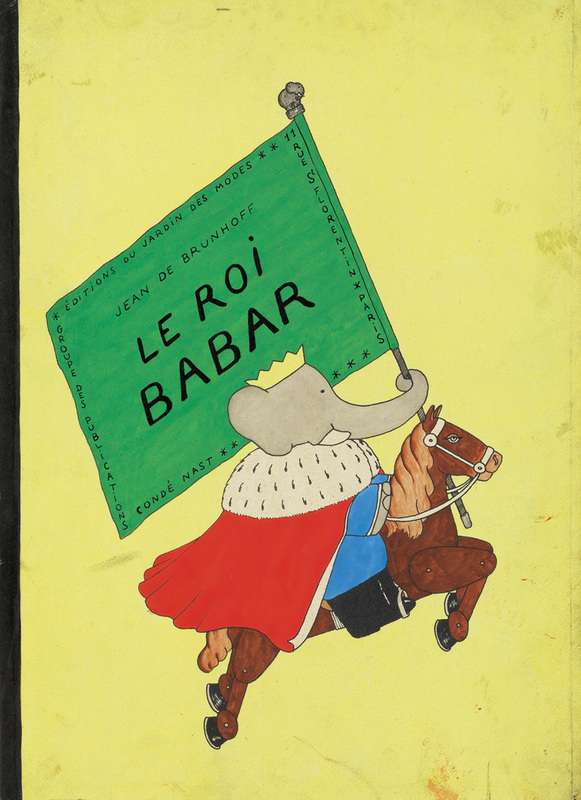 Lot 164: Howard Scott, That’s My Meat!, Kingan’s Reliable Sausages billboard artwork, gouache on board with collage, 1949. Estimate $600 to $900. 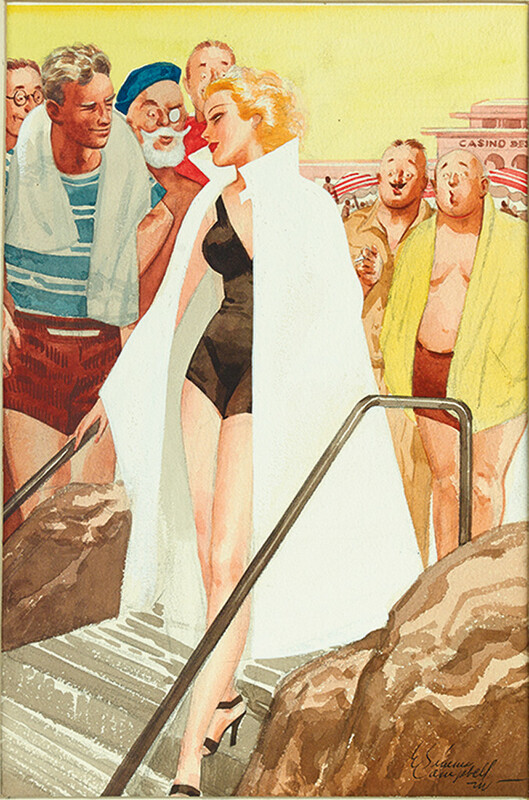 For more thrilling Man-Cave-iana, as well as many other genres of illustration, take a look at our complete catalogue.